The Institute for Democracy and Economic Affairs (IDEAS) released a new 12-pages report urging the Malaysian Parliament and the public to support and sign the Trans­ Pacific Partnership Agreement (TPPA). Good call. Why? Economic and governance considerations. 1. 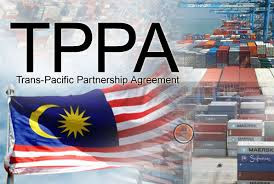 The TPPA will bring economic benefits and serve Malaysia’s best interests as shown by the two studies commissioned by MITI, one of which estimates Malaysian gross domestic product (GDP) gains of USD23­27 billion in 2027 in a baseline scenario, an increase in economic activity which will sustain 1­2 million new jobs by 2027. Most recently, a World Bank study predicted that Malaysia’s economy would swell by 8% and exports would rise by 20% as a result of the agreement, with Malaysian exporters having an advantage over regional competitors not part of the bloc. 4. help make the procurement system more transparent and accountable. While the TPPA may not be an ideal agreement, the socio­political benefits outweigh the shortcomings. 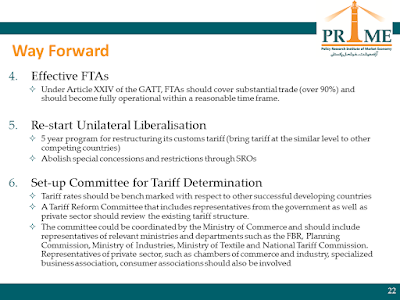 The agreement is a step in the right direction in terms of economic and socio­political reform and to jump­start the currently stalled reform in the country. 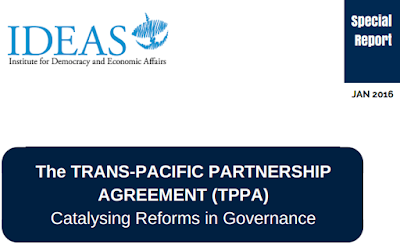 It is in Malaysia’s best interest to sign and ratify the TPPA. If it fails to do so, we will miss a valuable opportunity to incorporate greater transparency and good governance measures into our political and economic systems. Good job, Wan and team. Ok. 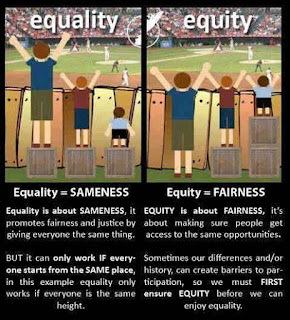 So from the above, there is a definition on (a) equality vs. equity, (b) sameness vs. fairness. Let me add now another dimension, (c) justice and equity vs. laziness. Because I think both illustrations are wrong. Why? 1. People should be inside the stadium, not outside, if they want to watch live games. 2. People should be sitting, not standing, especially with a child. 3. The man and older boy are lazy. If they insist on standing outside, then the man should carry the young boy or toddler in his shoulder, the older boy can help carry the young boy. 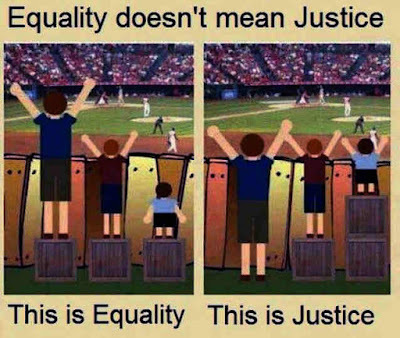 Why would people tolerate a situation where a young boy will stand perhaps for hours, and call it equality or equity or what have you? The young boy should be seated; all 3 should be seated. And if I am the guardian or sibling of the young boy, he will sit on my lap. Why can't people recognize that the younger child, boy or girl, is at a disadvantage in the present because he/she was born later. His/her optimal time is in the future, when the older kids/people become much older and retire. 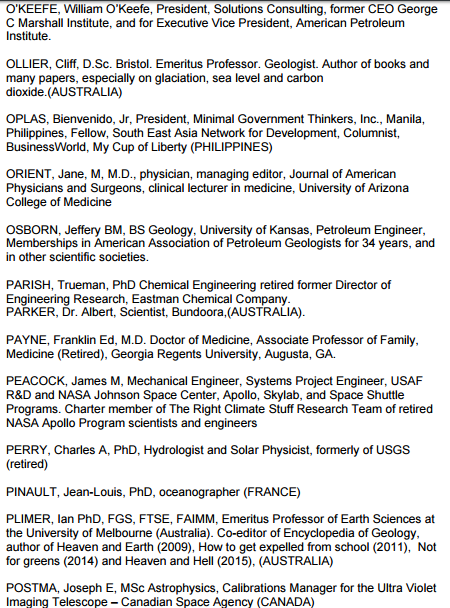 This week, a group of scientists, engineers, physicians, economists, mostly from the US but with other signatories from abroad, wrote the Chairman of the US' House Committee on Science, Space and Technology, about temperature data quality. Originally posted in WUWT, 300 Scientists Tell Chairman of the House ScienceCommittee: ‘we want NOAA to adhere to law of the Data Quality Act’. The list of signatories is 18 pages long, see here. I am one of the signatories, on page 14. I was invited by a good friend in the US, Dr. Willie Soon, an astrophysicist. It seems that I am the only signatory from South East Asia. 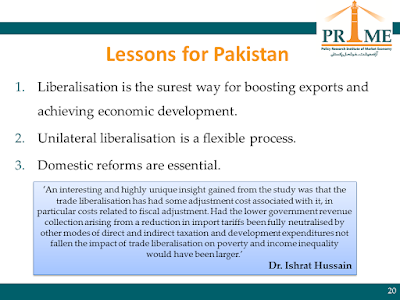 I stumbled upon this presentation in a forum organized by the Policy Research Institute for Market Economy (PRIME) based in Islamabad, Pakistan. PRIME is headed by a friend, Ali Salman. Good event, Ali. 3. 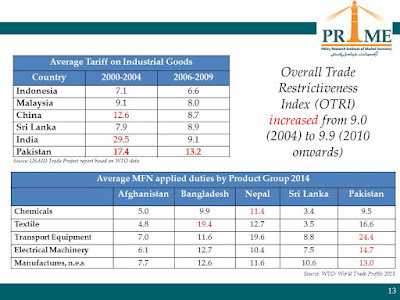 Trade Policy Mix: From Bilateral and Regional Liberalisation to Trade Restrictions (2006 onwards). 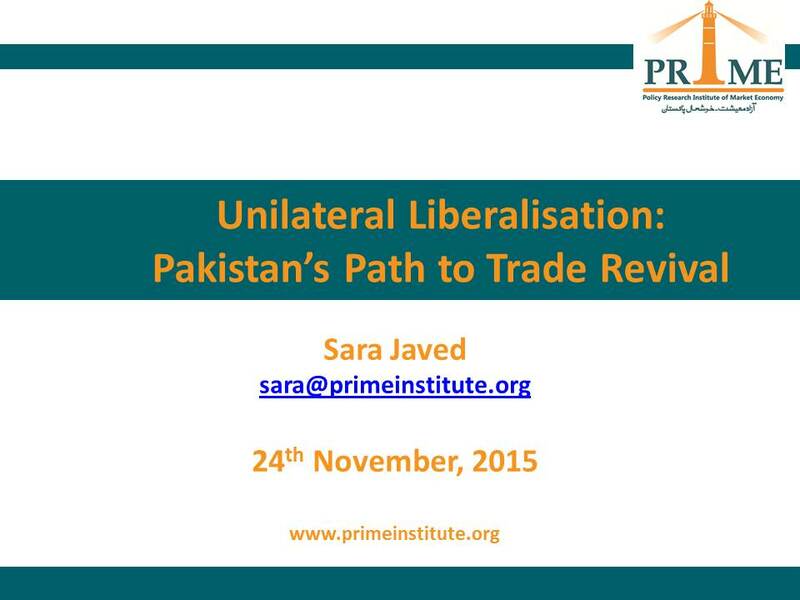 A different definition of unilateral liberalization, "liberalisation from below", good nonetheless. 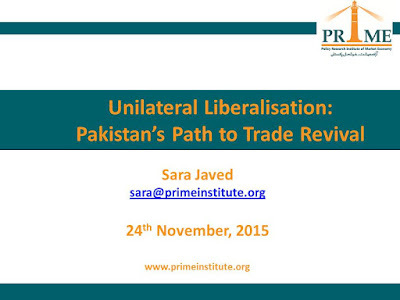 For me, unilateral liberalization means no need for negotiations, just one-way liberalization, that very often builds confidence and reciprocal liberalization by other trade partners. Examples of HK, Singapore, Chile, New Zealand unilateral lib. But I digress. Good advocacy by PRIME. 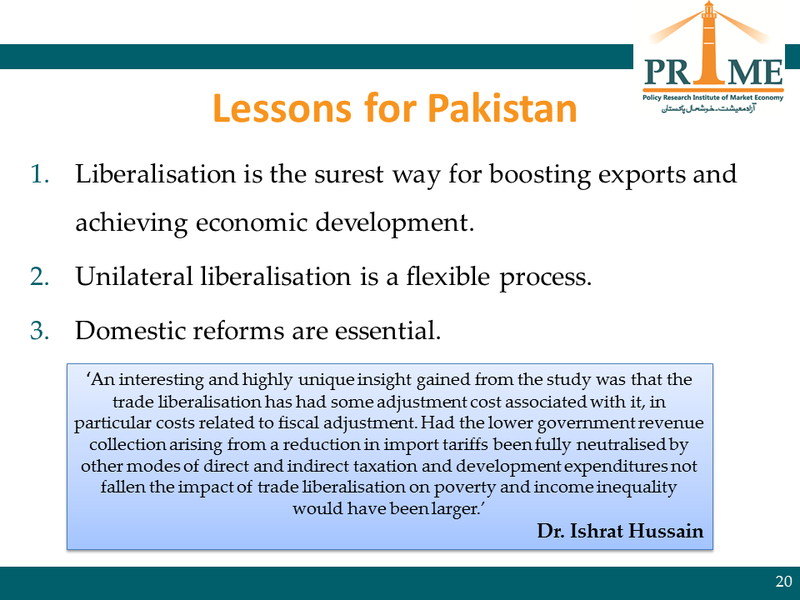 Unlike in South East Asia though, economies in South Asia including Pakistan, India, Sri Lanka, Nepal, Bangladesh, the pace of liberalization is rather slow. 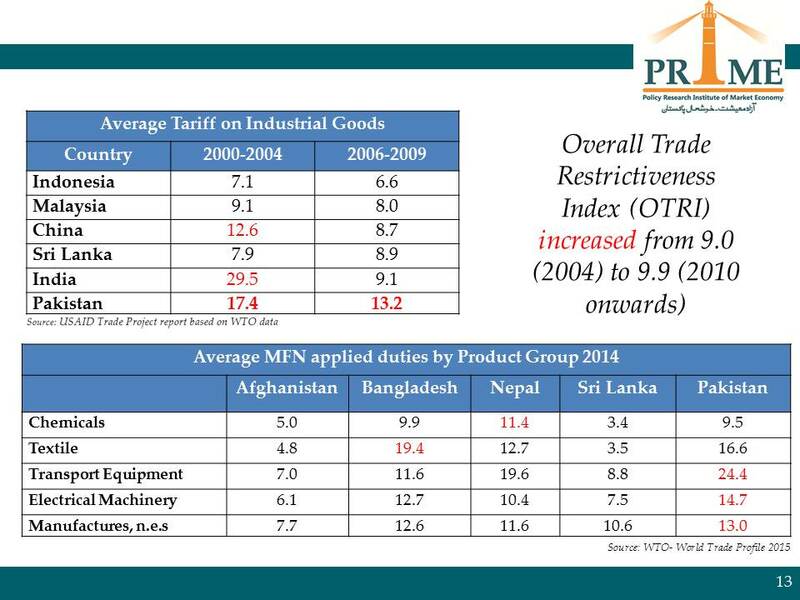 Nonetheless, slow liberalization is better than continued protectionism. 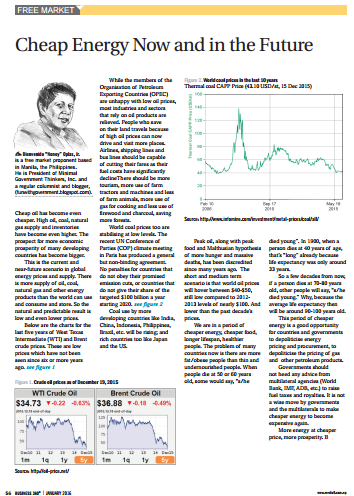 * This is my article in BusinessWorld the other day, January 27. It appears now that there are many data showing that the conditional cash transfer (CCT) is good and successful in reducing poverty. Good, then it is now time to abolish other existing welfare programs that were failures. Each new welfare program is an admission that other existing welfare programs are wasteful and unsuccessful in reducing poverty. Let us count some of those existing welfare programs: Books and education for the poor, medicines and PhilHealth for the poor, housing and relocation for the poor, credit and agrarian reform for the poor, irrigation and rural roads for the poor, MRT/LRT subsidy for the poor, jeepney diesel subsidy and e-trikes for the poor, rice price subsidy for the poor, condoms and pills for the poor, public Wi-Fi for the poor, etc. There is an endless, no timetable, and even expanding welfare programs for the poor. Which means there will be endless and expanding taxes, fees, fines and penalties, and mandatory contributions for the rest of the population. These benefit the poor, non-poor who pretend to be poor, and the many layers of legislators and bureaucracies that administer these endless welfare and entitlement programs. A warning: CCT is a targeted program, targeting the “poorest of the poor.” This is not possible actually because many of these people are highly mobile in the midlands and uplands. They don’t have IDs, they seldom stay at home, and cannot attend the mandatory, regular meetings by the Department of Social Welfare and Development (DSWD). They are always in the mountains, hunting or cutting trees, producing firewood and charcoal, and so on. So by convenience, those who can regularly attend DSWD seminars and not blacklisted from the program are those who have some means to stay at home. Like a spouse or one older child has regular work, or working abroad and sending money regularly. Our social security insurance and pension system should be deregulated. Membership in the government Social Security System (SSS) monopoly corporation should not be mandatory and by coercion. The people should have more choices, more freedom, to whom they should trust their current contribution for their future pension fund. SSS can be retained as a government-owned corporation, need not be privatized, but membership with it should be voluntary, not mandatory. If people have more choices, it is doubtful that SSS as we know it now can get millions of members. SSS officials are always beholden to the high-level politicians who recommended and appointed them there, not to the actual contributors from the private sector. SSS, GSIS, PhilHealth, and Pag-IBIG business model is so 1950s or 60s: Filipinos are assumed to be non- or less-mobile, they will work, retire, and die here in the country. This is wrong because millions of Filipinos now are very mobile across the globe, and the Philippines also attracts millions of mobile and foreign professionals, some of whom have decided to settle down here. Global and multinational pension funds should be allowed to compete with SSS. 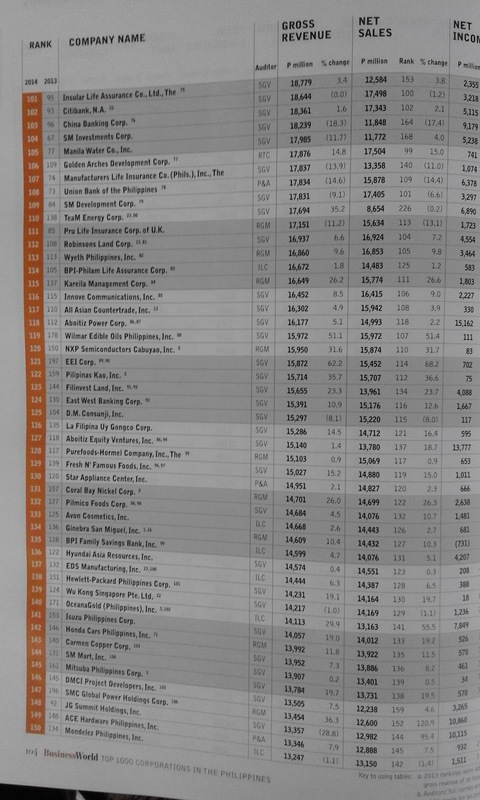 So Filipinos who work here for 10 years or so, then move to other countries in Asia, Europe or north America should have ALL of their contributions from Day 1 in the Philippines counted. These contributions should be portable and can be utilized once they decide to retire whenever and wherever they wish. The arrangement should be the same for foreigners who contribute to such pension fund -- if they choose to retire here in the Philippines, they can enjoy the full benefits even if they contributed for 10, 20 years in another country. Governments in many countries are often jurassic central planners. 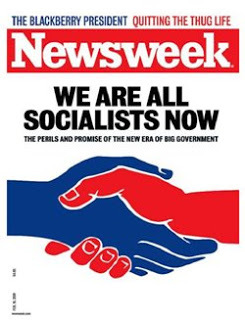 They are incapable of highly flexible policies, they survive only via rigid and inflexible policies, that is why things -- like social security, pension, health insurance, housing insurance -- are made mandatory, obligatory, by force and coercion. Currently, if a Filipino has worked here for 20 years and contributed faithfully to those funds then move and work abroad, retire there and come home only to visit friends and families, all of their contributions are non-portable and hence, cannot be used in their adopted country. Such contributions only make the Directors and Commissioners (most if not all are political appointees) and employees of SSS become richer. The same can be said of foreigners who later settled down in the Philippines. Their contributions in their mother countries will not be honored by SSS here. If membership in SSS is not mandatory, it will become more responsive, more sensitive, more friendly to members. If members are unhappy, they can opt out and stop contributing to SSS and go to another private pension fund. The Philippine government guarantees solvency of the SSS. Can a private pension fund promise a similar assurance? Good question, and a multinational private pension fund, or local but in close alliance with international and global pension funds, will have the financial muscle to ensure solvency. It is among the first questions that members who have the privilege to opt out will be asking, and the fund/s who can provide convincing answers will get more subscribers. Thus, SSS membership will not be made mandatory. What should be mandatory is that ALL people should have social security insurance. When there is competition, public and private players tend to be more customers-friendly and sensitive. Where there is zero competition, many ugly features and wastefulness of a monopolist can be observed. We see many of such wastes and inefficiencies in the current SSS. 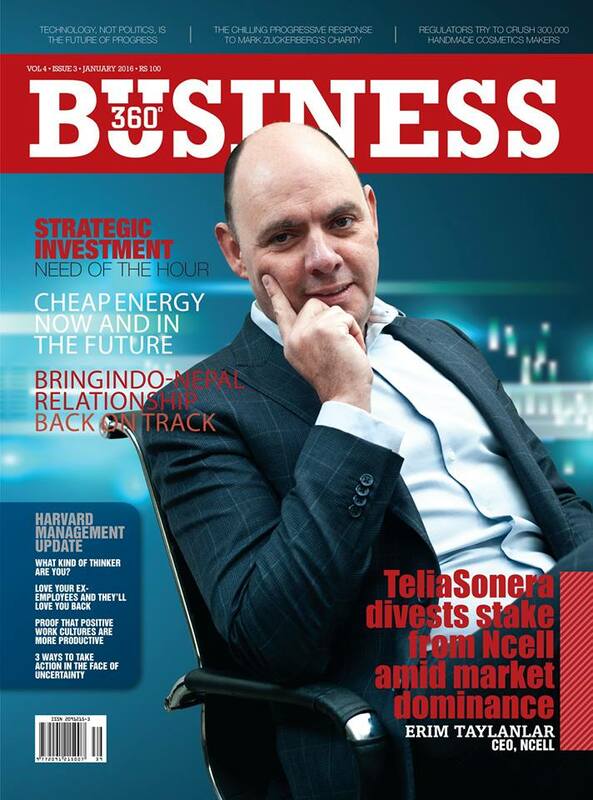 * This is my article in the monthly business magazine in Kathmandu, Nepal, January 2016 issue. 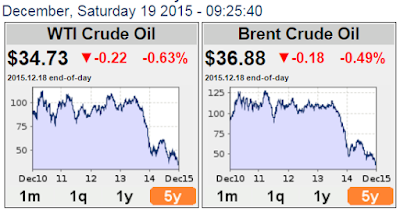 Cheap oil has become even cheaper. High oil, coal, natural gas supply and inventories have become even higher. The prospect for more economic prosperity of many developing countries has become bigger. This is the current and near-future scenario in global energy prices and supply. There is more supply of oil, coal, natural gas and other energy products than the world can use and consume and store. So the natural and predictable result is low and even lower prices. 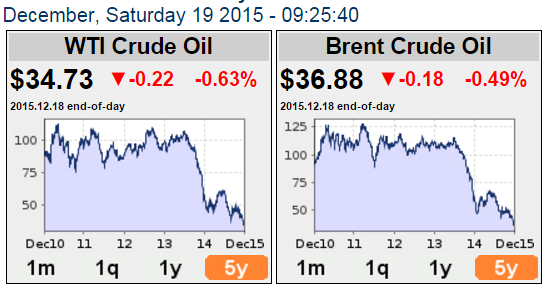 Below are the charts for the last five years of West Texas Intermediate (WTI) and Brent crude prices. These are low prices which have not been seen since six or more years ago. While the members of the Organization of Petroleum Exporting Countries (OPEC) are unhappy with these low oil prices, most industries and sectors that rely on oil products are relieved. People who save on their land travels because of high oil prices can now drive and visit more places. Airlines, shipping lines and bus lines should be capable of cutting their fares as their fuel costs have significantly decline There should be more tourism, more use of farm tractors and machines and less of farm animals, more use of gas for cooking and less use of firewood and charcoal, saving more forests. 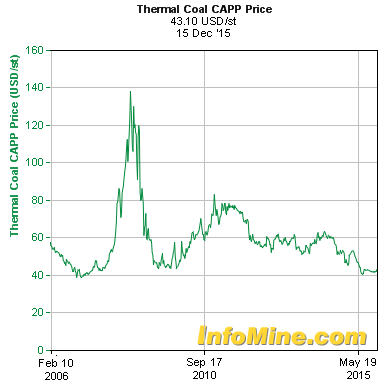 World coal prices too are stabilizing at low levels. The recent UN Conference of Parties (COP) climate meeting in Paris has produced a general but non-binding agreement. No penalties for countries that do not obey their promised emission cuts, or countries that do not give their share of the targeted $100 billion a year starting 2020. 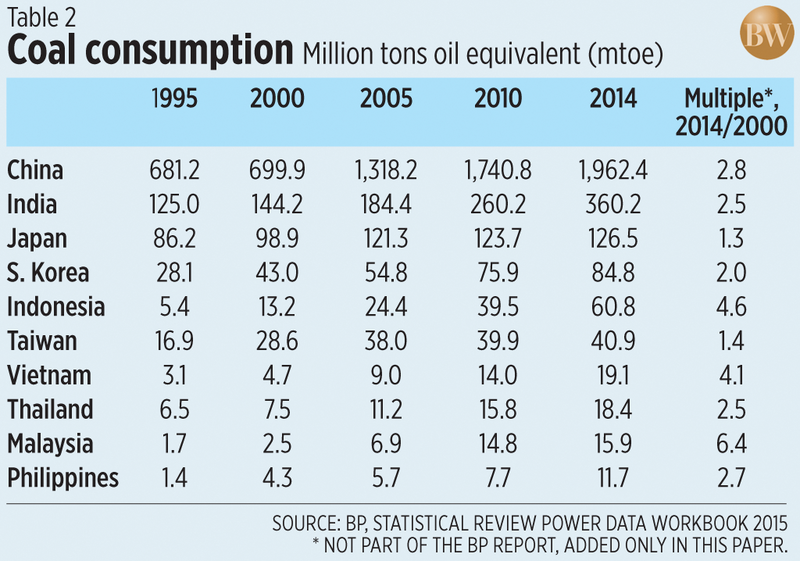 Coal use by more developing countries like India, China, Indonesia, Philippines, Brazil, etc. will be rising; And rich countries too like Japan and the US. Peak oil, along with peak food and Malthusian hypothesis of more hunger and massive deaths, has been discredited since many years ago. The short- and medium-term scenario is that world oil prices will hover between $40-$50, still low compared to 2012-2013 levels of nearly $100. And lower than the past decade's prices. We are in a period of cheaper energy, cheaper food, longer lifespan, healthier people. The problem of many countries now is there are more fat/obese people than thin and undernourished people. When people die at 50 or 60 yrs old, some would say, "he/she died young". In 1900, when a person dies at 40 yrs old, that's "long" already because life expectancy was only around 33 years. So a few decades from now, if a person dies at 70-80 years old, other people will say, "he/she died young." Why, because the average life expectancy then will be around 90-100 yrs old. This period of cheaper energy is a good opportunity for countries and governments to depoliticize energy pricing and procurement, to depoliticize the pricing of gas and other petroleum products. 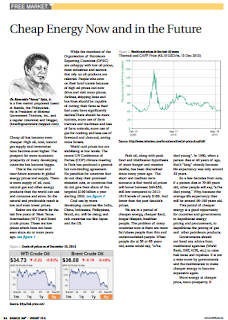 Governments should not heed any advice from multilateral agencies (World Bank, IMF, ADB, etc.) to raise fuel taxes and royalties. It is not a wise move by governments and the multilaterals to make cheaper energy to become expensive again. More energy at cheaper price, more prosperity. 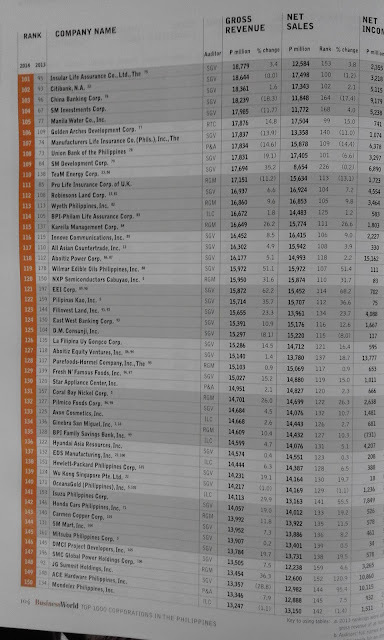 BusinessWorld published the Top 1,000 corporations 2015 last month, representing data for 2014. They are selling it, a thick report. I don't know if it's available online to their subscribers. Anyway, here are the top 400, I took photos per page. (11-15) Globe, PLDT, Smart, BDO, Chevron; (16-20) Robina, Puregold, SanMig Brewery, PASAR, Metrobank. 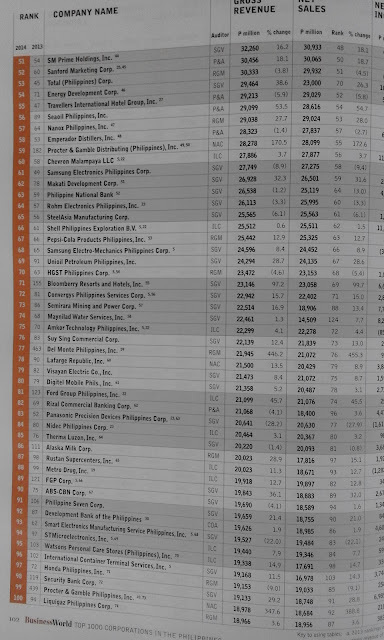 Meralco suffered an 11% decline in revenues in 2014 vs 2013? Why, many users, households and corporations have shifted to low-watts lights, appliances, electronics? 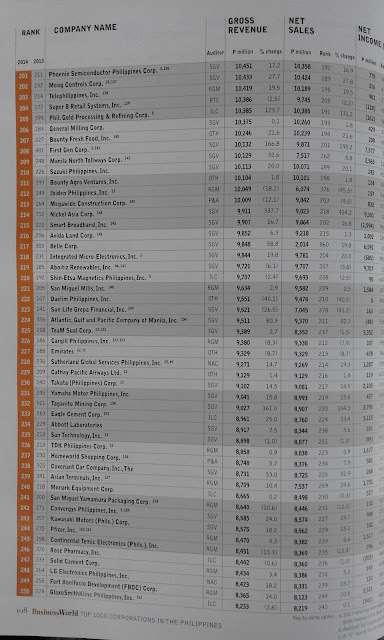 Others in the top 50 that suffered a decline in revenues in 2014 were TI, PLDT, PASAR, Metrobank, Landbank, SMC, Amlife, FGPC. 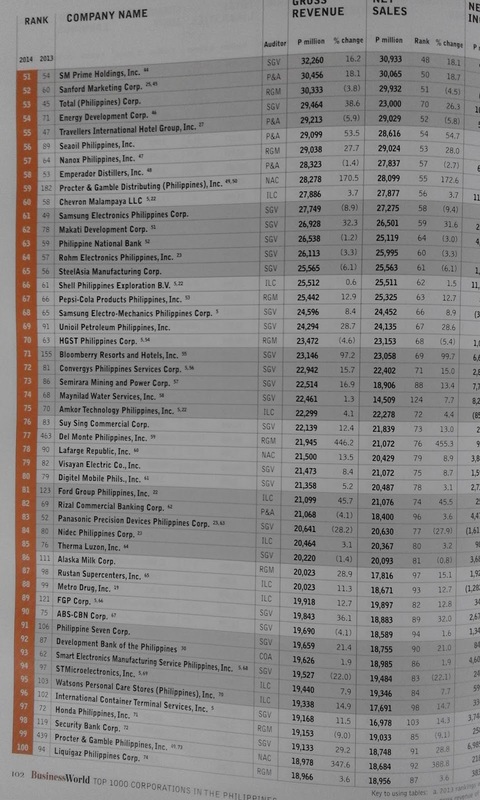 Those that experienced at least 15% jump in revenues were: Toyota, PAL, Robina, Sunlife, Cebu Air, SunPower, Megaworld, HHIC, Robinsons Supermarket, and PTT. To the campaigners of "demonize and hate the 1%", it is not good to pull down the rich and efficient individuals and corporations in society just to close the gap with the very poor. Besides, many of these "big" corporations in the Philippines are just medium size compared to the really big corporations in East Asia, like those huge companies in Japan, China, S. Korea, Malaysia, Thailand, Indonesia, HK, Singapore. I am reposting an interview by the Economic Freedom Network (EFN) Asia of Andrew Work (AW). 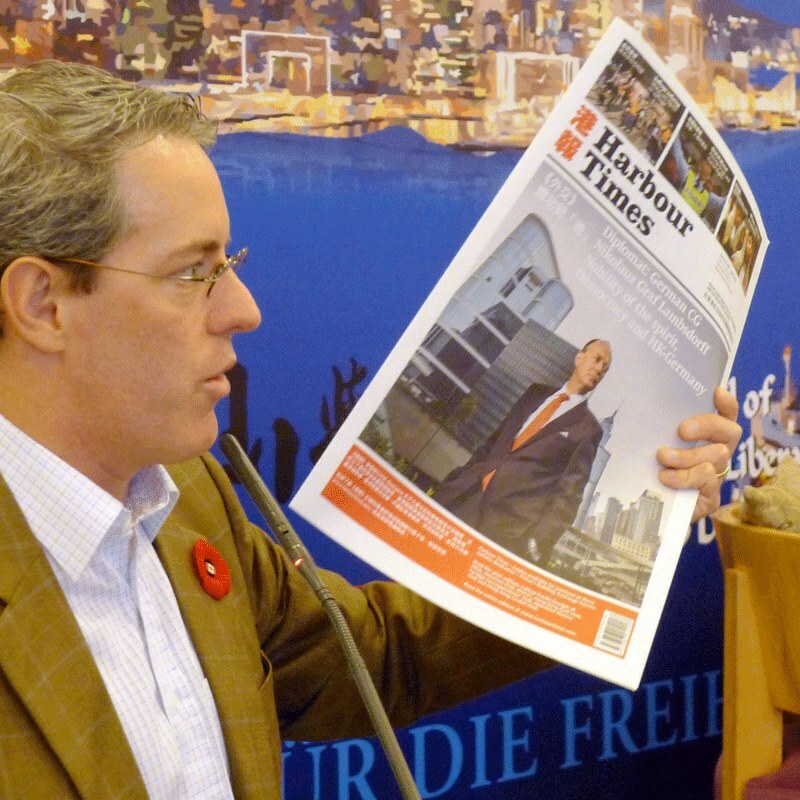 Andrew is the Publisher and Editor-in-Chief of Harbour Times (HT), the flagship of New Work Media. Before creating the HT, he was the Exec. Director of The Canadian Chamber of Commerce in Hong Kong for a few years. And before that, he was a co-founder and founding Exec. Director of The Lion Rock Institute (LRI), Hong Kong’s first free market think tank, born in 2004. Andrew holding a copy of the HT, thanks to Olaf K. for this photo. Andrew is a friend since 2004. Met him first time in Michigan for the Mackinac Leadership Conference, then at the Atlas Liberty Forum in Chicago, then in several meetings in Washington DC, then at the EFN Asia conference in Hong Kong, October 2004. Here’s the interview. I omitted the first Q&A. EFN: World War II put an end to the opium trade. How did that affect Hong Kong? AW: At that point Hong Kong had already established itself as an important Asian trade center and the people of Hong Kong, their jobs, incomes and prosperity very much depended on the flow of goods through the harbour. And this meant that Hong Kong’s DNA remained free of policies that, for example, aim to protect local industries from foreign competition through taxation. Hong Kong was always wide-open for trade, only few goods were subject to import duties. And in some cases abolishing such import duties has even proved beneficial. AW: Well, a recent example would be the de facto elimination in 2008 of the import duty on wine. The duty was actually not abolished, but reduced from 60% to 0%. This has had a tremendous effect: Within only one year the total value of wine traded in Hong Kong doubled. Practically overnight the city became Asia’s trade and auction hub for fine wine. This has turned out to be immensely profitable and has led to the creation of new infrastructure – such as special warehouses – and jobs. In effect an entirely new industry sector has emerged within the blink of an eye. EFN: In Europe we are witnessing a rather emotional debate about the Transatlantic Trade and Investment Partnership (TTIP). Here in Asia negotiations over the Trans-Pacific Partnership (TPP) were concluded last year. In how far are free trade agreements relevant to Hong Kong? AW: FTAs mainly deal, and I am simplifying a bit here, with the mutual dismantling of tariff and non-tariff trade barriers. There’s not much to dismantle in Hong Kong in that regard. But Hong Kong has negotiated a couple of FTAs during the past few years, for example the ones with EFTA and Chile, and the Closer Economic Partnership Agreement (CEPA) with China. 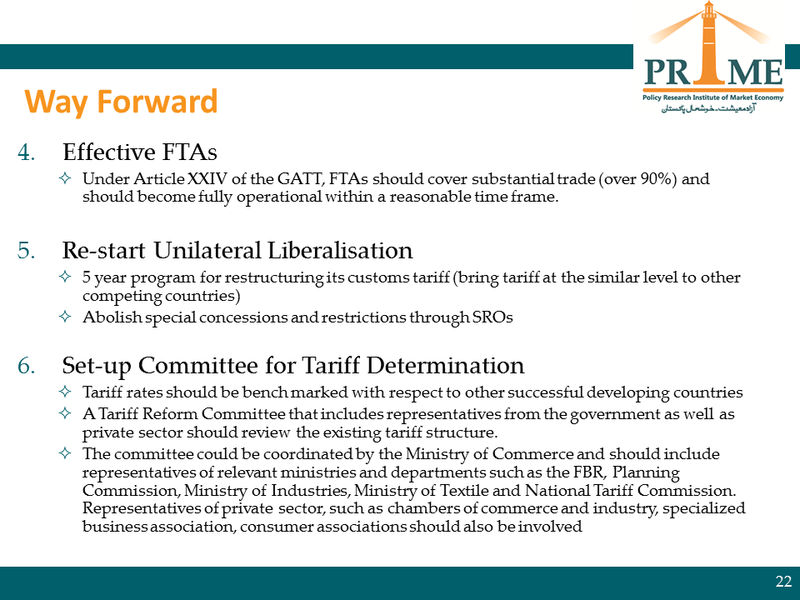 While, on the face of it, signing CEPA didn’t make that much difference at first, its later iterations tackled some issues of importance to Hong Kong. One example would be the mutual recognition of academic titles and professional qualifications. The reduction of barriers within the framework of CEPA could be beneficial – both for foreign professionals who want to settle in Hong Kong and for Hong Kongers who wish to offer services in mainland China. Many restrictions remain on offering services in Hong Kong. The Medical Council of Hong Kong makes it very hard for foreign physicians to settle in Hong Kong and offer medical services. The same applies to foreign lawyers. In my view these are unnecessary restrictions that reduce consumer options. As far as TPP is concerned, I am convinced that Hong Kong will profit immensely, even though it is not a part of the treaty. Hong Kong very much depends on world trade. If trade is flourishing, Hong Kong prospers. EFN: What are the long-term prospects of Hong Kong? AW: That very much depends on how Hong Kong will elect its Chief Executive (CE). Hong Kong’s constitution, the Basic Law, is in many regards a fantastic legal document. But unfortunately it vests the Chief Executive with a lot of power. Let me give you an example: Suppose you want to file a complaint against the police. You would then turn to the Independent Police Complaints Council. Its members are appointed by the Chief Executive. But he [the CE] also appoints the police chief and has the final say on nominations to the High Court. Furthermore, the Chief Executive appoints the head of Hong Kong’s anti-corruption commission. This goes to show that too many institutions depend on the CE, a person who in theory has two masters: The people of Hong Kong and Beijing. But ultimately all important decisions are made by Beijing. EFN: So, in a manner of speaking, very much depends on whether China understands Hong Kong or not? AW: Precisely; unfortunately right now it seems that the leadership in Beijing shows little understanding of Hong Kong. Beijing doesn’t appreciate that the more they meddle in Hong Kong’s affairs, the more opposition they will face. Some people might simply decide to pack their stuff and leave. And these are dire prospects. Hong Kong became rich because the city was always allowed to do what lay in its interest. Hong Kong experienced rapid economic growth and lifted millions out of poverty long before China started to catch up. But this is a view that is not shared on the mainland. In China, the perception prevails that Hong Kong owes its wealth to China alone. I have the feeling that, if in doubt, Beijing has more interest in exerting control over Hong Kong than seeing the city prosper. The thinking seems to be: If China isn’t perceived as being in full control of Hong Kong, other regions on the mainland might become restive as well. 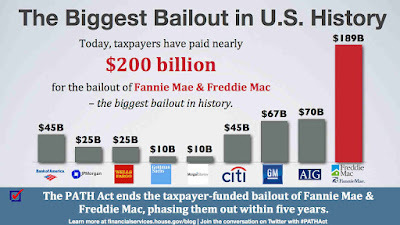 Some people think that the US financial turmoil in 2008-2009 was caused by free market or less government policies, that none of the major players responsible were arrested, and that the US taxpayers bailed out the fraudulent corporate system. Hmmm, the fraud or criminals don't arrest themselves. The one who collects tons of money from the public is the government; the one who decides to use that tax money for private use like corporate bailout is the government. Recall that in the literatures of the free marketers, almost all of them said one thing -- zero bail out, let those erring big banks and firms go bankrupt. Capitalism without failure and bankruptcy is like religion without sin. This chart below, I got from the web. Business should be kept in the private sector as much possible and government should only lay down fair and transparent rules that apply to all players, and stay away from being businessman itself. In real capitalism, there is competition, almost anywhere, almost anytime. Then there will be success and failures; expansion and bankruptcy. 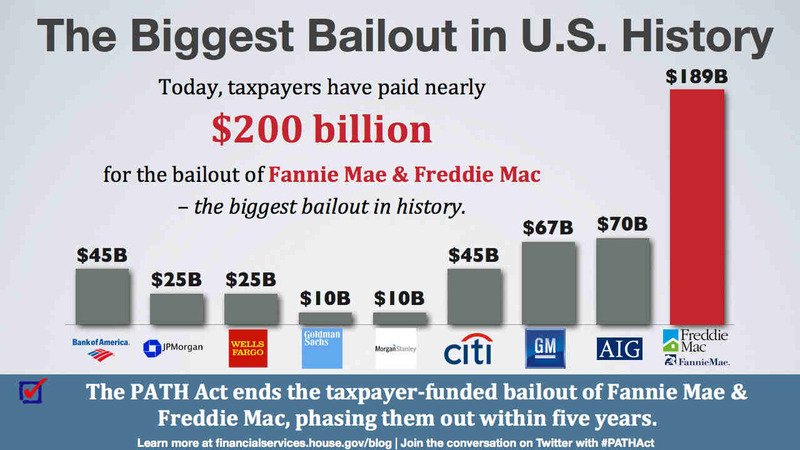 In cronyism type of business, bad companies get bailed out. Or a better term perhaps is that bad companies are protected from competition by good and efficient companies. 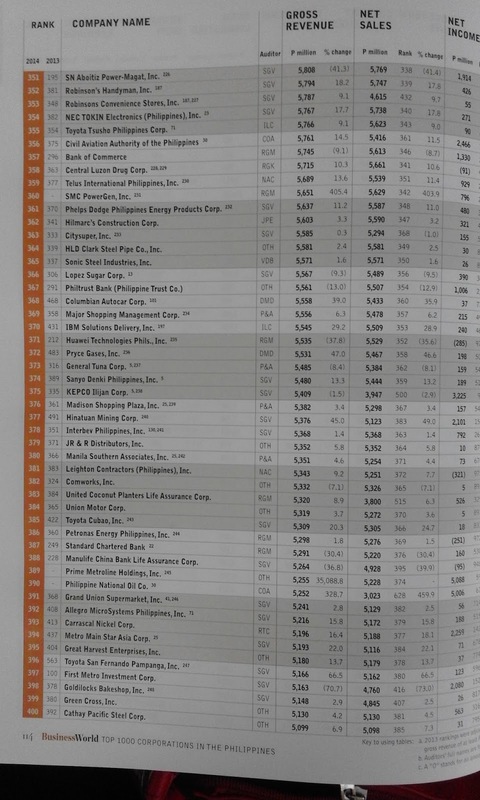 There are so many government-created monopolies, area-specific monopolies like electricity distributors (Meralco + 120 other electric cooperatives), all water companies, etc. 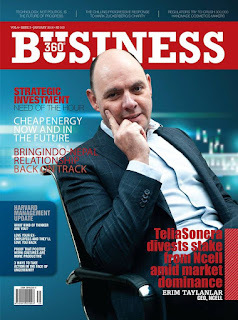 Some industries are duopoly like telecom. The potentially good company/ies is/are prohibited, banned, disallowed by the government to compete and teach a bad local company a lesson. Via the Constitution (restrictions on foreign equity investments), via Congressional franchise, via Executive franchise (CAB, MARINA, LTFRB, NTC,...), via LGU franchise or business permit. At least two schools of thought on government dealing with big players experiencing serious corporate crisis. (1) bail them out, postpone the day of reckoning, and (2) let them fail, let the economy sort it out. Trying to balance both would exacerbate the situation. Option (2) is always the optimal one. Capitalism without bankruptcy and failure is like religion without sin. So corporate expansion and bankruptcy are 100% part of the DNA of capitalism. When a government plays God and decides who should stay and who should go bankrupt, that economy is moving towards statism, even socialism. Besides, when a corporation goes bankrupt, someone else will buy it, cheap of course, use or rehabilitate the useful assets, even assume the debts and liabilities, rehabilitate and turn it around, and manage or sell it for a profit. Bailing out a corp., public or private, using taxpayers' money is always wrong. Monopoly greed also occurs at the poorer/poorest sectors of the economy. Like a jeepney route monopoly (given by LTFRB) -- air-con vans, buses are prohibited from plying their route and get passengers. Or tricycle route monopoly (given by LGUs) -- jeepneys, air-con vans, mini-buses are prohibited from plying their route. Passengers have only two options, take a cab or Uber, or drive their own cars. I entered UP, graduated in the mid-80s or more than 3 decades ago. The jeepneys monopolized the Philcoa-UP or Quezon Ave-UP route. Ok lang noon, no internet, no fb, etc. Now with all the modernity, those routes are still jeepney monopoly? Students and staff have no other choice but take the cab/Grab/Uber, drive their own cars? Air-con vans, buses still prohibited in UP? That's the anti-development, anti-innovation governmentt prohibition culture. Never mind the majority, just pamper a few noisy but organized guys. In many literatures on energy and environment, electricity and climate policies, the dominant view is that fossil fuels in general, and coal power in particular, are the “enemies” of sustainable development. This should not be the case. The truth is that coal power plays a complementary and not contradictory role to development. Three sets of data will show why. 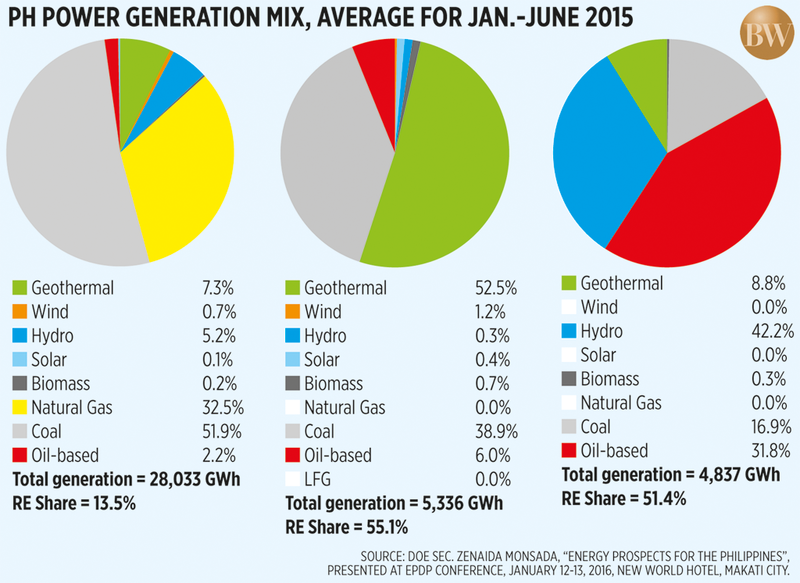 In Luzon grid, coal + natural gas + oil have produced 86.6% of total power generation in the first half of 2015. The “old renewables” hydro and geothermal contributed 12.5% while the “new renewables” wind, solar and biomass contributed only 1.0%, very small. In the Visayas grid, coal and geothermal provide the bulk of power generation and in Mindanao, it is hydro, oil, and coal. 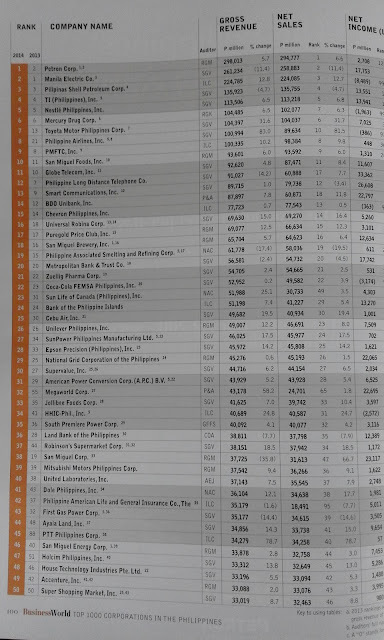 Note that the actual power generation of coal + natural gas of 84.4% are much larger than their power capacity of 61.2% of total dependable capacity in the Luzon grid. This means that power plants that use these two fuel types are producing more electricity at stable supply and cheaper prices than other power plants that use oil and geothermal (stable supply but expensive), hydro (low supply during dry months) and new renewables (unstable supply and expensive). Hence, more power are used and purchased from coal and natural gas plants. 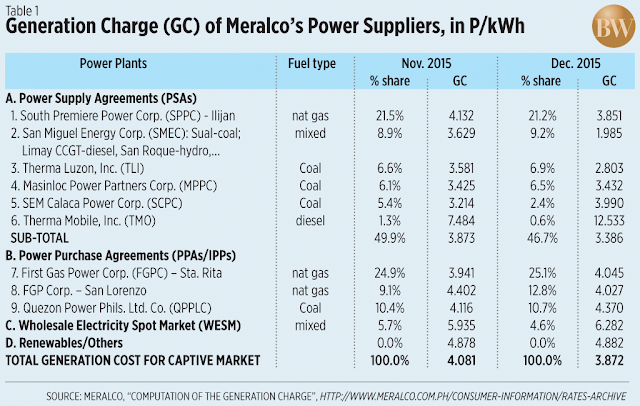 Two, in the Meralco franchise area covering Metro Manila and nearby provinces, power plants that run on coal (TLI, MPPC, and SCPC) provide cheaper electricity, although power plants that run on natural gas (SPPC-Ilijan, FGPC-Sta. Rita and FGPC-San Lorenzo) provide the bulk of power generation. 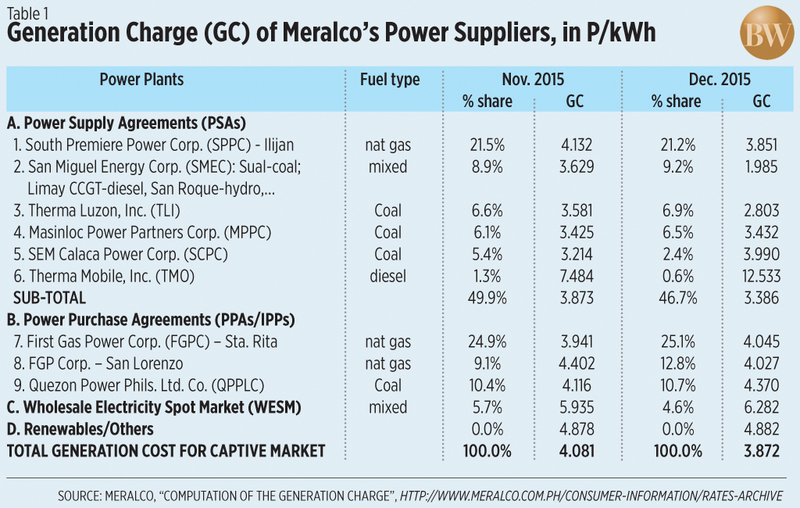 Exception is QPPLC that also run on coal but the price is comparable to nat gas power plants. TMO is a peaking plant, meaning it runs only during peak hours of electricity use. Its price is higher because it uses more expensive fuel, diesel, and runs only for one, two or four hours a day, depending on the season or months of the year. Thus, its contribution to total power production is small, only 0.6% in December 2015. 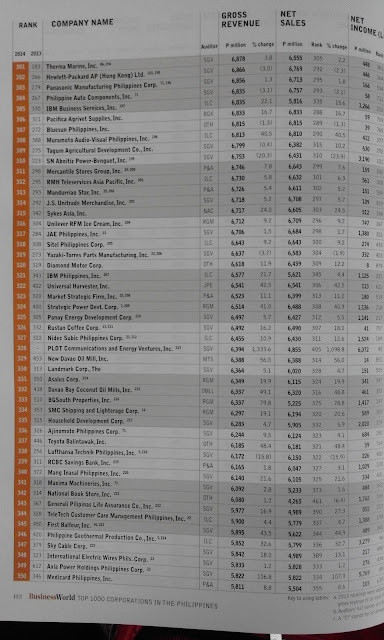 Three, compared to many developed and emerging Asian economies, coal power consumption in the Philippines is actually small. 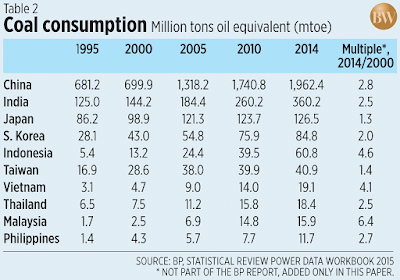 The expansion of coal consumption in Malaysia, Indonesia and Vietnam from 2000 to 2014 was nearly twice the expansion in the Philippines. During the recent Energy Policy and Development Program Conference where Energy Secretary Monsada presented at the final plenary, this writer commented during the open forum that the DoE’s target of 30% minimum share of renewables can be a trap and reduce the country’s flexibility to tap cheaper, more stable energy sources like coal. The claim therefore by some sectors and observers that coal power is the enemy of sustainable growth of the Philippines is based on subjective and non-objective point of view. Their proposal to either (1) limit coal to base load power only, or (2) outright banning of coal and use only renewables (old and new), is based on emotionalism and alarmism. When many streets and houses are dark at night because local governments and households are saving on their monthly electricity bills, there are at least three negative social consequences: more vehicular accidents, more criminal activity, and more fires when more people use candles more frequently. These are crimes against humanity and the poor especially that the “limit/kill coal” movement does not take into serious consideration. Adding more renewables to the energy mix is good and healthy for the economy so long as no subsidies are provided like feed in tariff (FIT) and no “must/priority dispatch” policy via the renewable portfolio standards (RPS). The government must avoid politicizing the pricing and dispatch of electricity. Instead, it must encourage the entry of more power plants using different types of fuel, whether local or foreign. More competition among more players is the best way to protect the public via stable supply and cheaper, affordable electricity prices. Bienvenido Oplas, Jr. is the head of Minimal Government Thinkers, and a Fellow of both the South East Asia Network for Development (SEANET) and the Stratbase-Albert del Rosario Institute (ADRi). Back to back with "Snowzilla" and another "Snowmageddon" in the US East Coast, "man-made" global warming hits East Asia too. Hey UN, Al Gore, WWF, Greenpeace, Oxfam, CCC, WB, ADB, other planet saviours, you want more money from us so you can fight less snow and more snow, less rain and more rain, less flood and more flood, less dogs and more dogs? Some news reports this week. Original headline of BBC for this story. 3. 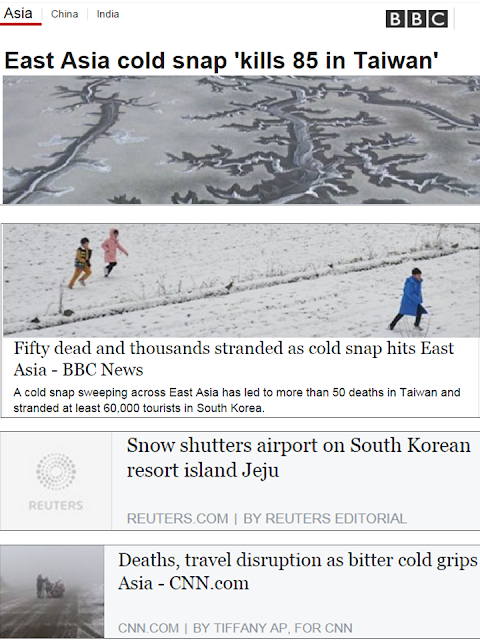 From CNN: -18C in Seoul; -12C in lower reaches of Yangtze River, China; HK's highest peak Tai Mo Shan -6C; 85 dead in Taiwan, 3 dead in Japan, at least 4 in China. 5. "The average temperature of 3.1 degrees was recorded on Sunday, the coldest in 59 years and the third lowest since 1885. 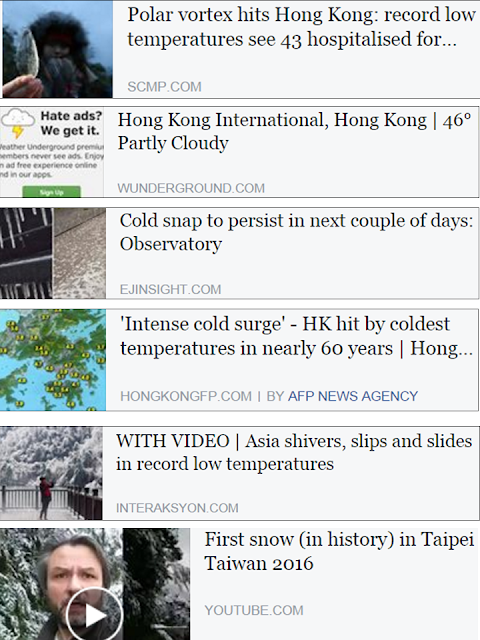 The last time the HKO recorded temperature lower than 3.1 degrees was in January 1957, when it was only 2.4 degrees." Meanwhile, here's one of several forecasts of El Nino-La Nina events. El Nino to end around June 2016, La Nina to start around October this year. Nature keeps telling us that it has no "unprecedented, unequivocal" fever. That heavy governments, UN, various multilaterals, bilateral institutions not needed to "fight anthropogenic climate change." CC is natural and cyclical. Check paleoclimate data, they are very useful. This is Globe Telecom, one of two telecom duopoly in this country of 102 or 103 million people. The other is Smart/PLDT. 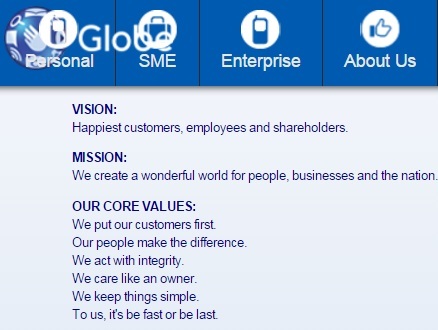 Nice promise by Globe, no? Happy customers, customers first, keep things simple, nice. Now here is a testimony by one Globe customer, Sara Pagsibigan, whose story went viral, shared 17,235 as of 10:42pm tonight as I write this. Globe, Mr. Ayala -- your company should be ashamed of this viral story. Globe should produce a corporate position paper recognizing this lousy service and inform your subscribers what steps have been taken to avoid similar situations. Or you produce a large-scale denial story and show that you were indeed very friendly, very sensitive, very "customer first" in dealing with Ms. Pagsibigan. To nationalists and socialists in this country -- this is one more proof that economic nationalism, protectionism and anti-global capitalism is wrong. When you limit competition to only one player (monopoly) or two players (duopoly) or a few players (oligopoly), you also limit choice and freedom of the people. Here now is Ms. Pagsibigan's story, posted in her facebook wall last January 21, 2016, 3:20pm. I am writing this post because businesses such as Globe Telecom should be accountable for their system glitches and bad customer service. I was not angry at the start. I made a simple inquiry as to why my bill was showing a huge overpayment amount. However, the series of events after this inquiry was an absolute nightmare that has left me feeling helpless and victimized. The hotline and the Globe store managers told me that the huge overpayment amount on my bill was a double charge and that the money would be returned to my bank. The Store Manager showed me the details on his computer, wherein the first charge for my handset was done on December 13, 2013 for P39,120 and the double charge was done on December 16, 2013 for P39,419. He took my credit card details and said that he would process the bill refund. I called the hotline and went to the Globe store several times for 4 agonizing months (July – October 2015). A Store Manager repeatedly told me to check my bank because “the issue was resolved and the charge back was done”. I tried to follow up through all the channels – HOTLINE, STORE, TALK2GLOBE CHAT, TWITTER, EMAIL, and FACEBOOK to no avail. Going back and forth the store, repeatedly calling the hotline for 4 months to ask for an update, and chasing managers for updates was time consuming and frustrating. Most of the time there were no updates at all. There were times when my call was not documented. I had to repeat myself in every single call. Hotline representatives were unable to see all the cases and escalations for this single issue. I was promised updates but nobody ever followed through. There were often no managers to talk to when I called the hotline. I requested for hotline managers to call me and even raised a case specifically for a manager to call me, but I never got a call. And during a rare instance wherein I was able to speak with a few supervisors and a manager, they said that their hands were tied because it is the backend that should contact the client once the case has been logged on their end. This backend department did not give me any update for 3 months in spite of all the escalations I have raised. This shows how disconnected the departments are and how limited the service is on the hotline’s end. The original case that was opened by a Store Manager was closed without my knowledge and without any update. Different information was provided on different channels. A Store Manager assured me that the issue was fixed and that I should check my bank because the charge back was done, while someone from a different department called me saying that it was a technical error and that no money would be returned to my bank. The Store Manager always provided late updates and I had to be the one to follow up. She always had an excuse for not getting back to me. She even called to say that she confirmed that the chargeback was done. I asked for names of the heads of departments as I wanted to address them in my escalation letter but they never gave me this information nor responded to my escalation. She completely stopped providing updates and ignored my escalation letters. The escalation letter addressed to her boss did not reach her boss nor did I get a response. This was absolutely rude and downright offensive. A friend asked me what is in the Philippine Constitution that can prevent the country from joining free trade agreements (FTAs) like the Trans Pacific Partnership (TPP). I said that it's the constitutional prohibition or restriction of foreign equity investments in certain sectors (ie, zero FDIs allowed); in other sectors, foreign equity investments are limited to 40% max. 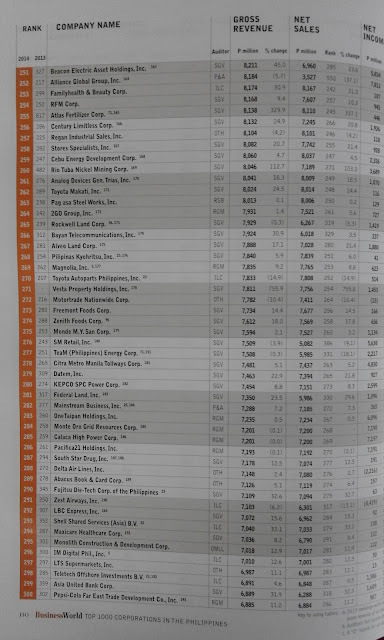 Or the 60-40%, Filipino-foreign equity restrictions. 3. Retail trade with paid up capital of less than $2.5M, cooperatives, etc. other industries.. ., utilities (water, electricity distribution,...) others. So it is not prohibition on joining the TPP itself, but the TPP provides for goods and services liberalization among member countries. 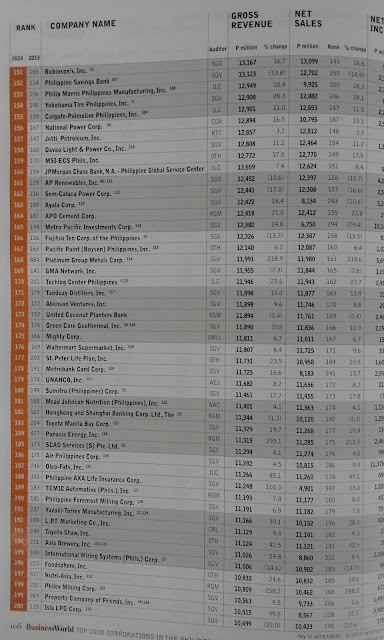 So Filipino multinationals like Jollibee, SM, San Miguel, etc. can easily enter the other TPP member countries but those countries' companies cannot easily enter here. The implication is that we must amend our constitution to remove the restrictions on foreign investments, the restrictions in the practice of profession. Filipino doctors can practice in the US, Canada, UK, etc., but foreign doctors cannot practice here. Filipino consumers and the public in general are deprived of more choices, more freedom, because of trade protectionism imposed by governments. Meanwhile, I am reposting this well-written piece by a good friend, on Malaysia being a part of the TPP. 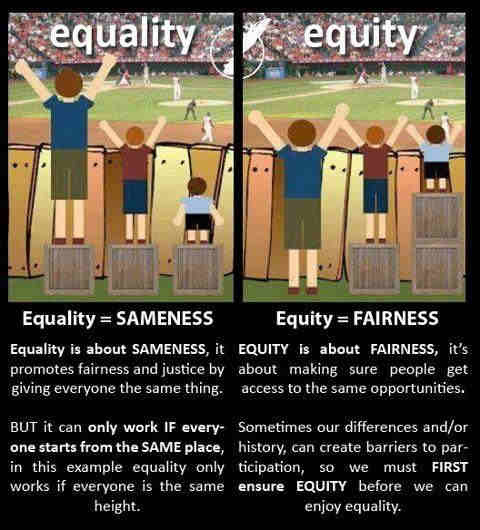 The photo I got from the web and just added here, not part of the original article. As we get closer to the parliamentary Trans Pacific Partnership Agreement (TPPA) debate next week, the anti-liberalisation campaigners have upped their ante to oppose the mega trade deal. I disagree with their anti-liberalisation views but I admire their tenacity to mobilise a vocal campaign. The movement is spearheaded by Bantah TPPA. It is fascinating to watch how they work. They have been so efficient to the extent that many look at them for objective views. But they are far from objective. Their sole purpose of existence is to oppose the TPPA and they will be silent on anything good. By being persistently vocal and by starting their campaign early they created the false impression that they are objective observers. Today they have a created a groundswell and you can expect politicians to follow their lead. When Bantah TPPA started their campaign in 2013, I almost signed up too. As an advocate of unilateral liberalisation, I am ideologically driven to oppose the bilateral and multilateral nature of free trade agreements (FTAs). 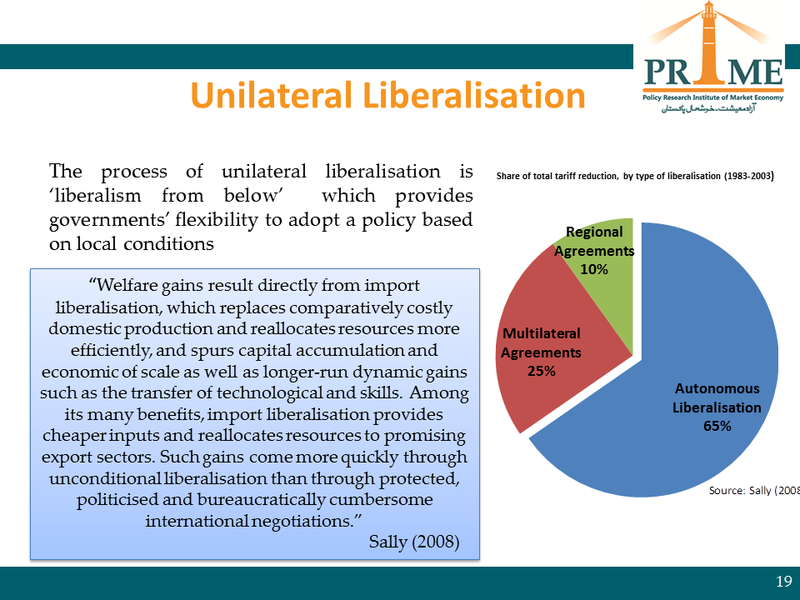 I prefer unilateral liberalisation because it allows you drive your own reform agenda. The multilateral nature of the TPPA, just like all other FTAs, dilutes the impacts you can gain from liberalisation. I have met this man twice in 2010, in Chicago and Sydney, both for an international climate conference. In Chicago, I just listened to him during a coffee break. In Sydney, I told him that I'm a good friend of Willie Soon, Bob replied, "Ahh, all friends of Willie are also my friends" and gave me a firm handshake and a nice smile. Very friendly, warm and intelligent. Sad to hear this. RIP, Bob. (1) "Professor Bob Carter (74) has been a key figure in the Global Warming debate, doing exactly what good professors ought to do — challenging paradigms, speaking internationally, writing books, newspaper articles, and being invited to give special briefings with Ministers in Parliament. He started work at James Cook University in 1981, served as Head of the Geology Department until 1998, and sometime after that he retired. Since then he’d been an honorary Adjunct Professor. 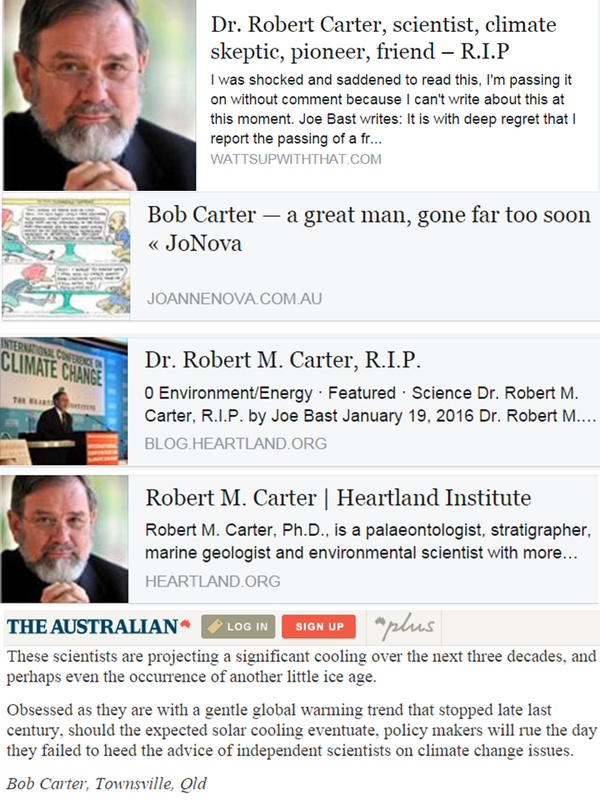 (3) "Dr. Carter was a palaeontologist, stratigrapher, marine geologist and environmental scientist with more than 30 years professional experience. He earned degrees from the University of Otago (New Zealand) and the University of Cambridge (England). He held tenured academic staff positions at the University of Otago (Dunedin) and James Cook University (Townsville), where he was Professor and Head of School of Earth Sciences between 1981 and 1999. An old news report where Bob Carter argued for preparation for global cooling. "Is it unreasonable to be surprised that none of your writers, much less the government, has noticed that leading solar astrophysicists, such as Habibullo Abdussamatov from Pulkovo Observatory in St Petersburg, have for years been commenting on the declining activity of the sun? These scientists are projecting a significant cooling over the next three decades, and perhaps even the occurrence of another little ice age."